Rescuers have no idea how a plane carrying a new Premier League signing disappeared from the radar above the English Channel on Monday night. 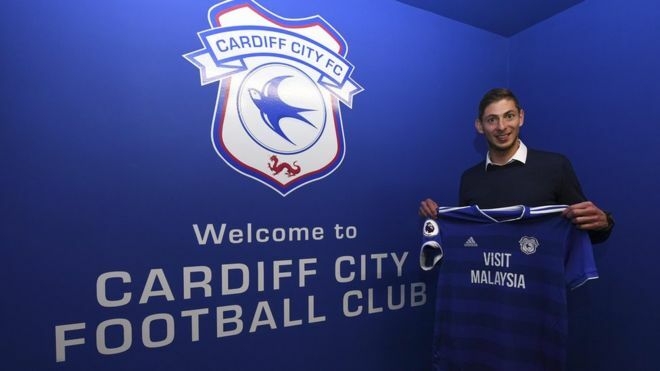 Emiliano Sala, 28, signed for Cardiff City for a reported £15 million ($19.3 million) from French club Nantes on Saturday. The striker was returning to his new club after saying farewell to his former team-mates in France. France’s civil aviation authority confirmed Cardiff City’s new signing Emiliano Sala was on board the plane when it went missing having passed over Guernsey on its way to the Welsh capital from Nantes. More than 1,100sq miles have been combed by five aircraft and two lifeboats, and with no trace of the plane, rescuers have been forced to concede they are not expecting any survivors.